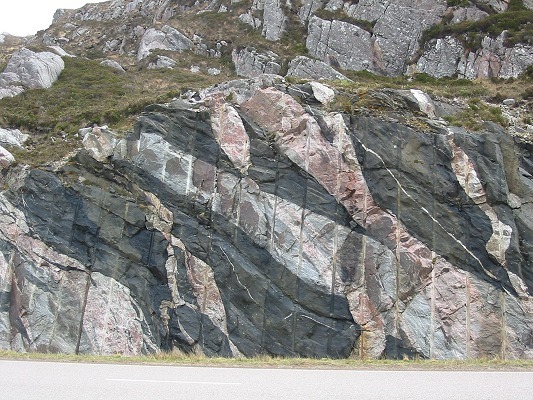 In this road cutting on the A838, the striped grey rock is Badcallian gneiss, 2.7 to 3 billion years old. The black bands are igneous rock, the Scourie dykes, which were intruded, meaning forced in, between 2.4 and 2.2 billion years ago. 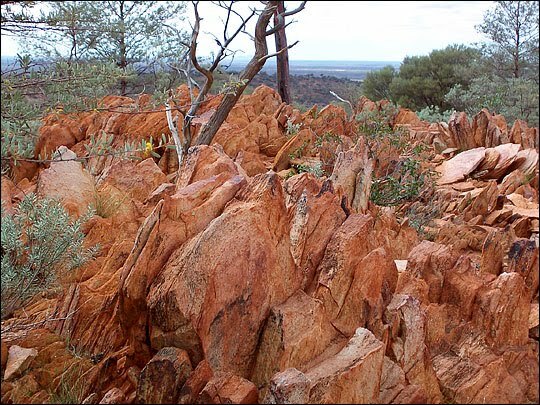 The pink bands are igneous rock, coarse pink granites and pegmatites, intruded later, about 1.7 billion years ago. Their bulbous shape indicates that they were intruded into rock that was at the time very hot and quite soft. If you want to see these oldest of the oldest rocks in Britain you can do so quite easily, provided you can get to the far north of Scotland of course. When the A838 road to the north of Laxford Bridge was upgraded some years ago, several outcrops of the oldest gneiss were exposed in road cuttings. One outcrop, photographed to the right, is at grid reference NC 232 485. The grey banded rock, called Badcallian gneisses, was formed even earlier, between 2.7 billion and 3 billion years ago. 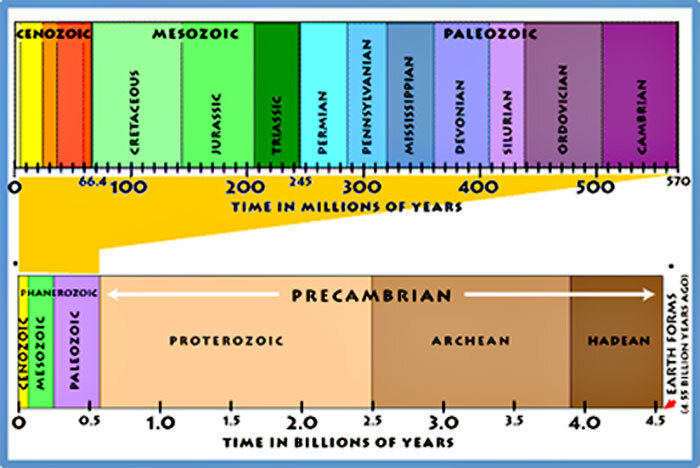 The name comes from the Badcallian metamorphic event (named after nearby Badcall Bay) that took place later, around 2.5 millions years ago.